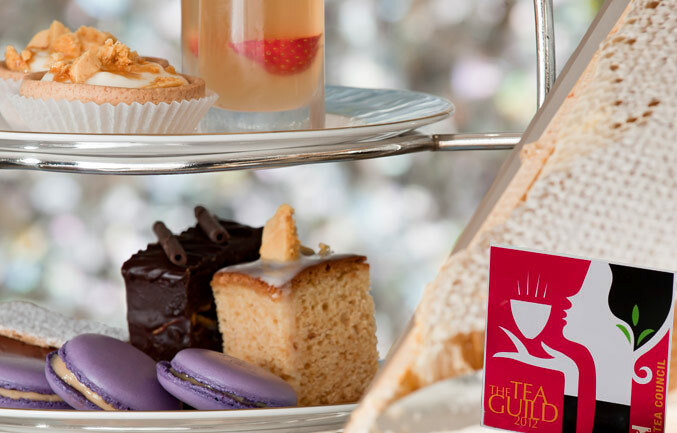 Anthenaeum Hotel won Tea Guild’s prestigious award for “Top London Afternoon Tea 2012”. I host Tea Tuesday each week, a virtual tea party which was inspired by Christine, a follower who lives in France, who was curious about English tea traditions after watching a few episodes of Downton Abbey. The British may have failed miserably in other culinary areas, but they excel in the tea ritual. Join me every Tuesday as I dish on Downton Abbey, the Royal Family, UK tourism and other topical tea issues one might discuss at tea, served up with a tea treat recipe with a history. Today’s treat is smoked Salmon Pinwheels. Taking a traditional “afternoon tea” is definitely a bucket list experience. To do it properly, I have created a handy guide to help you enjoy the experience: Downton Abbey Cooks Online Guide to Afternoon Tea. A heart felt thank you for sharing my passion for Downton Abbey, history and food. We have now surpassed 100,000 views here since January when I started this particular blog, almost 5,000 twitter followers (@downtoncooks). Check out the posted links to Facebook and Pinterest. If you do tweet, you may wish to join me @downtoncooks, and other fans of Downton Abbey and tea from around the world by entering the hashtag #downtontea Tuesdays at 4 pm GMT, 11 am EDT, 9 am PST. We just hang out and chat, not unlike what you would normally do over tea. Please start without me, I may be in the kitchen making scones. I am reminded by that when I asked Hugh Bonneville (@hughbon) about the smelly lobster on set, he tweeted back saying we shouldn’t believe everything we hear or see, so take some of these reports with a grain of salt. WARNING: if you wish to remain in ignorant bliss about that is going to happen in Season 3, I would suggest you scroll right down to our recipe of the day. Setting the Stage for Season 3. An excellent overview from Edwardian Promenade of what life was like just after the war and before the Roaring 20’s. Dan Stevens compares weddings: his was not as cold, rainy and swamped with security. There are some pictures, but only of Season 2. Mary’s wedding dress is still a closely guarded secret. Hugh Bonneville reveals Lord Grantham’s secret (this is not a man of numbers) and his relationship with his mother-in-law. Sophie McShera (Daisy) reveals in a video clip that the cast/crew watch the show on TV like everyone else, but not alone, that would be embarrassing. The men in Downton recall their experience playing cricket in Season 3. Parade’s End is apparently no Downton. Benedict Cumberbatch was slagging Downton in his interviews to promote his own period drama. Plugged as the “thinking man’s Downton Abbey”, some feel the adaptation fell short of the books. 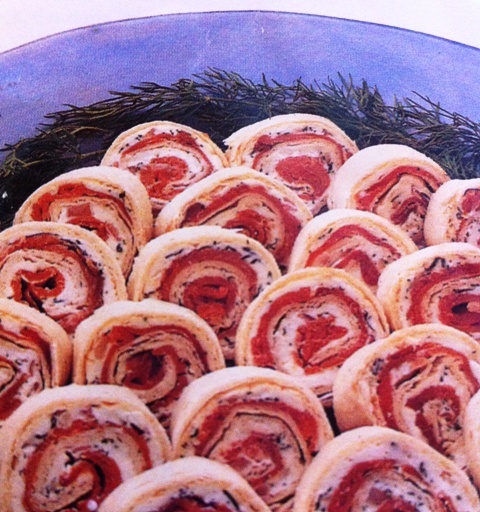 smoked salmon pinwheels, stretches your salmon to share with more friends. Time for another savoury treat for our tea tray which also works well as a quick and easy appetizer, particularly if you are planning to host friends to watch Downton Abbey walk away with multiple Emmys on Sept. 23. I have many salmon recipes in my bag of tricks to showcase the wild salmon my family catches each summer. I shared a similar smoked salmon mousse pinwheel dish which used pumpernickel bread as the wrapper. In this version you can add a bit more color, prep the rolls ahead of time, store in the fridge and slice just before you are ready to serve your guests. Combine cream cheese, vodka, red onion, dill and lemon juice. Spread 1/4 cup of the cheese mixture on each tortilla then top with a layer of smoked salmon. Tightly roll up the tortillas and trim the ends (for the cook to taste). Wrap in plastic wrap and refrigerate until you are ready to serve. The cream cheese seals the end. Slice into 8 pieces (or thicker if you like) and garnish with dill sprigs or chives. These look delicious. I’m always looking for fun things to pack in my lunch to take to work, and these will fit the bill nicely. I also loved reading the spoilers–I’m so excited I don’t know how I’ll make it until January. These are such pretty little rolled pinwheels!! Perfect for tea! !